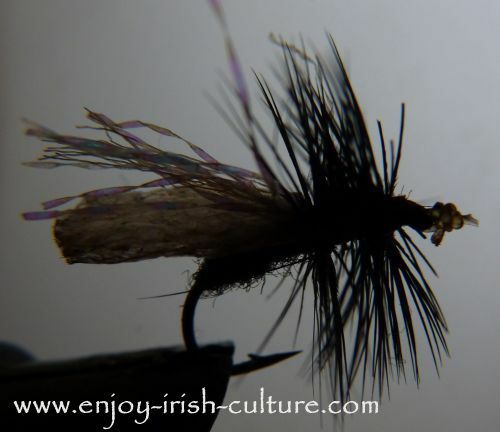 Join me on an adventure- fly fishing an Irish lake- Lough Corrib. I'll talk you through the fun to be had during the early part of the season in this article. I have the good fortune to live five minutes from Annaghdown Pier on the shores of the worlds’ best wild brown trout fishery, Lough Corrib. 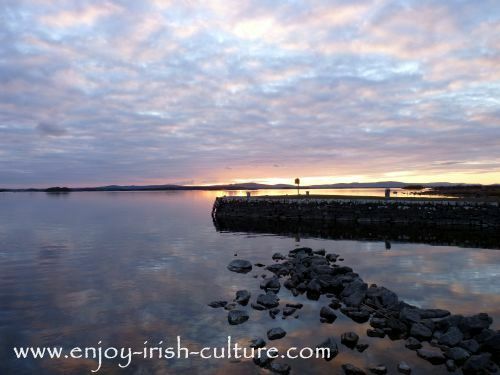 Lough Corrib is over 30 miles long and 7 miles across. 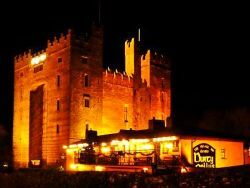 Opening day on the Corrib is February 15th. At the beginning of the season most of the fish are caught on spinners or using a dead minnow or ‘ brickeen’, as they are known locally. ‘Brickeen’ fishing is a traditional method particular to Lough Corrib. Brickeen fishing involves trolling a minnow on a specially designed rig behind the boat. In the 'olden days' the fishermen used hazel poles with a bell on the end. The fly life is not so abundant at this stage, but fish are still caught by fly fishing. Fly Anglers concentrate on the shallower, warmer bays which are located on the lower southern end of the lake. Places such as Annaghdown Bay can be relatively productive on warmer February days. Small black flies can be useful, the kind that imitate fry such as The bloody butcher. Choose flies which imitate aquatic insects that appear at this time of year, such as the Black Pennel but at this stage of the season don't shy away from trying brickeen fishing or spinning. You start to do fly fishing on Irish lakes around March time. The first big hatch of flies takes place around mid-March and continues to about mid-April with the ‘duck fly’, signalling the start of serious fly fishing. A lot of anglers traditionally start fishing on March 17th, St Patrick’s Day, using the Duck Fly. The ‘Duck fly ‘ is a chironomid, or buzzer, as they are also known. Chironomids are a large family of flies, which are essentially large non-biting midges. They resemble mosquitos. I found out why they are referred to as buzzers one evening on the lake as I wiped a mass of noisy flies from my glasses in order to be able to see. It was an awesome experience, out there on the calm water watching the sun go down and the full moon rise in a pink sky over the lake. Out of the tranquil silence, there grew a faint hum which quickly built to a serious buzz as the flies arrived. The water was soon boiling with rising trout making the most of the feast. These buzzers were a later species which hatch slightly later in the season on warm evenings in late May/early June. Hi there, like what you just read about fly fishing Irish lakes? Why not tell the whole world about our website so that others may enjoy it, too?! We have provided handy social functions at the top left and bottom of every page for your convenience. Thank you so much and warmest regards from Susanna and Colm. Return to the Fishing overview page.